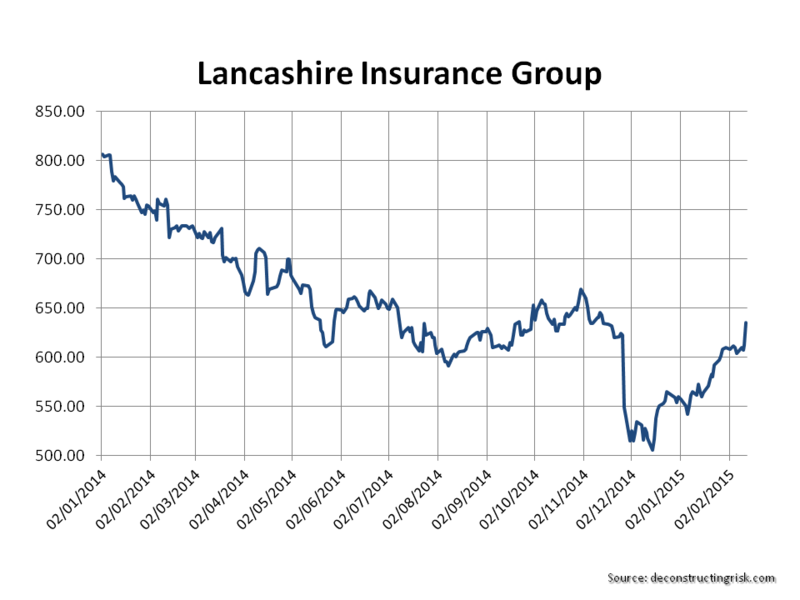 After going ex-dividend in November, investors went mega bearish on Lancashire (LRE.L) when it nearly dropped below the 500p level, as the graph below shows. 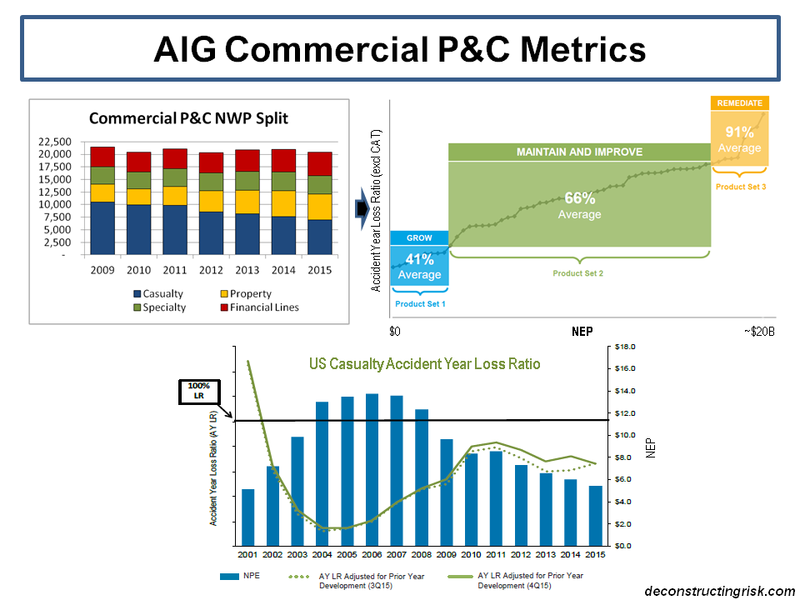 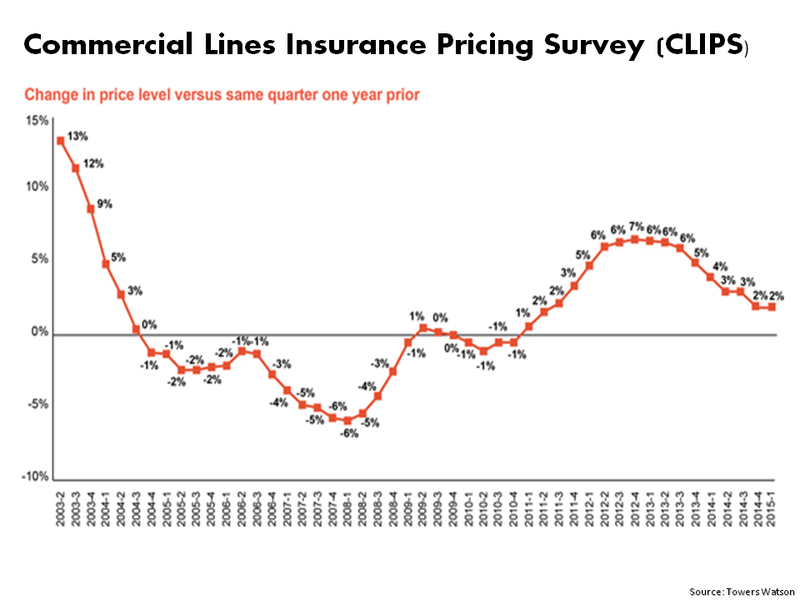 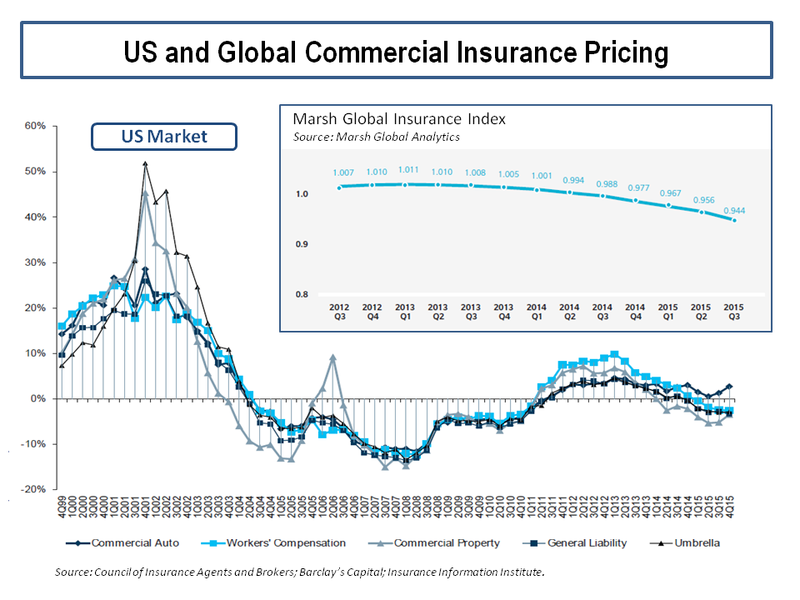 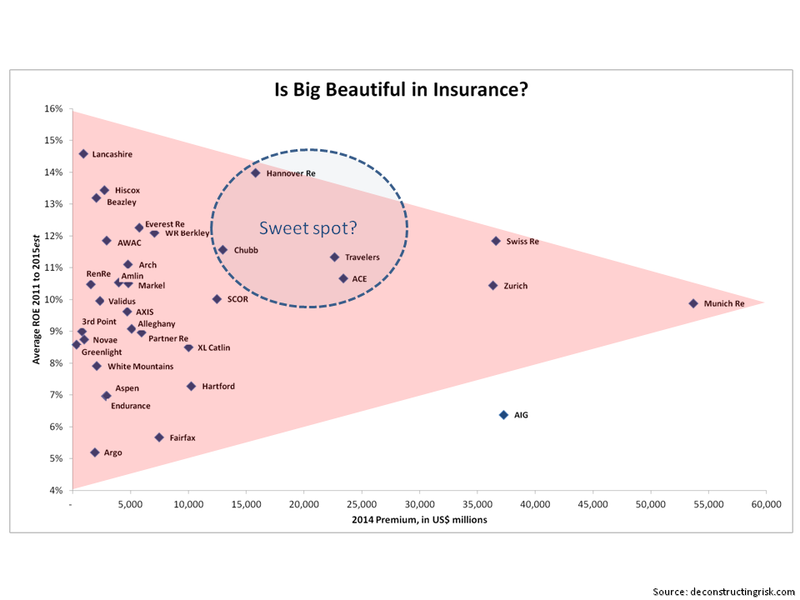 A previous post highlighted the reasons behind the change in sentiment over the first half of 2014 on the once darling of the specialty insurance sector. 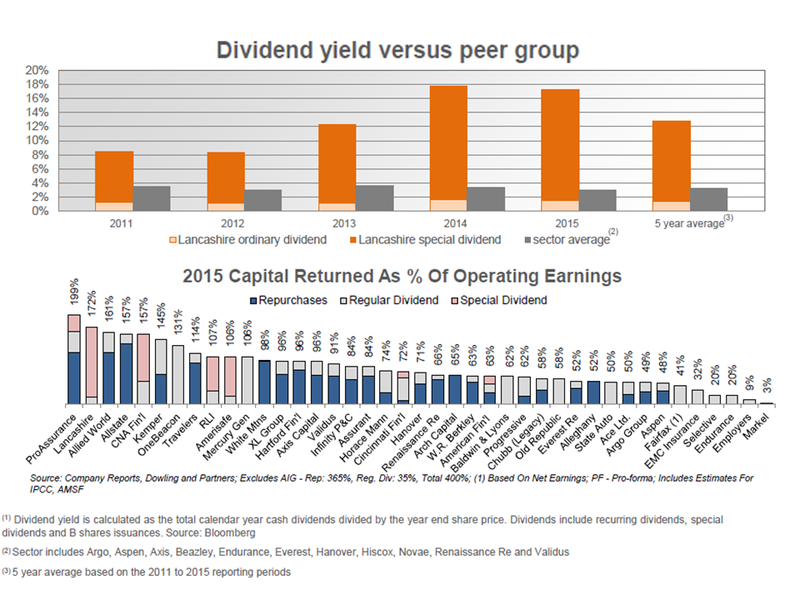 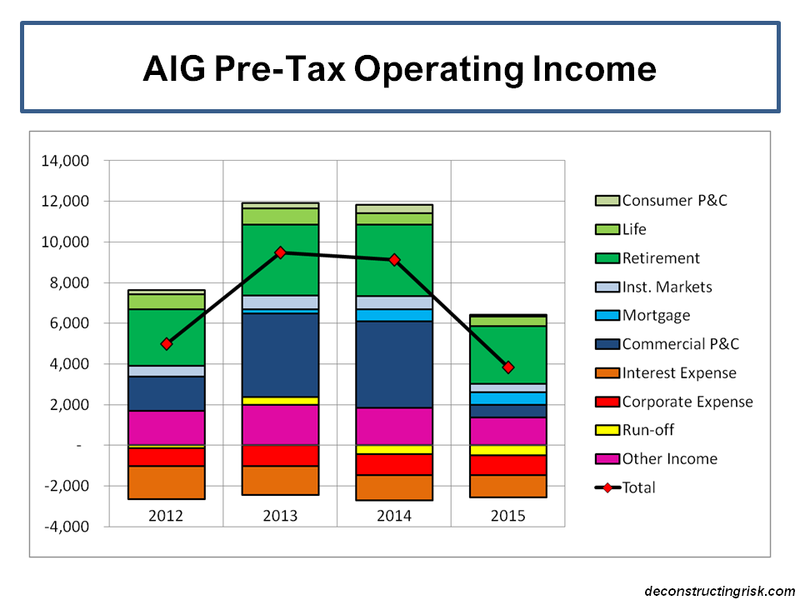 The firm released its Q4 today and announced another special dividend of $0.50 on top of the regular $0.10 dividend. 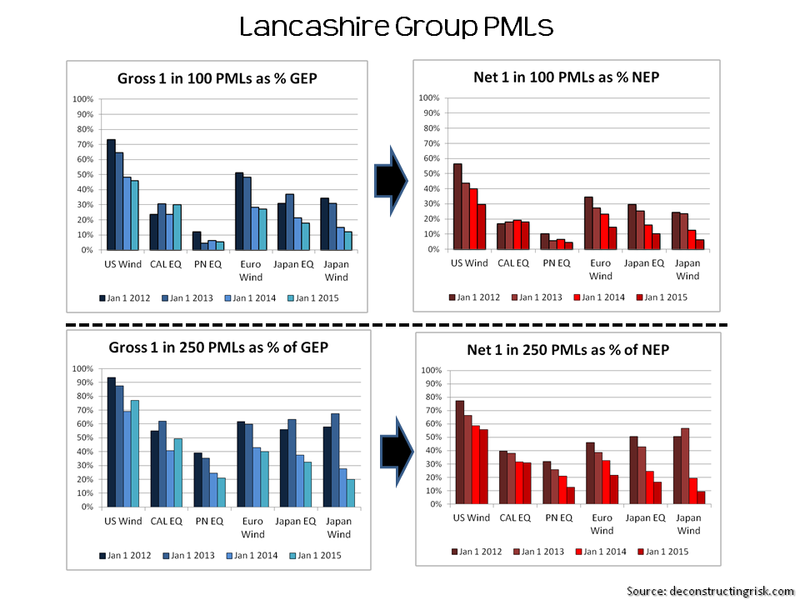 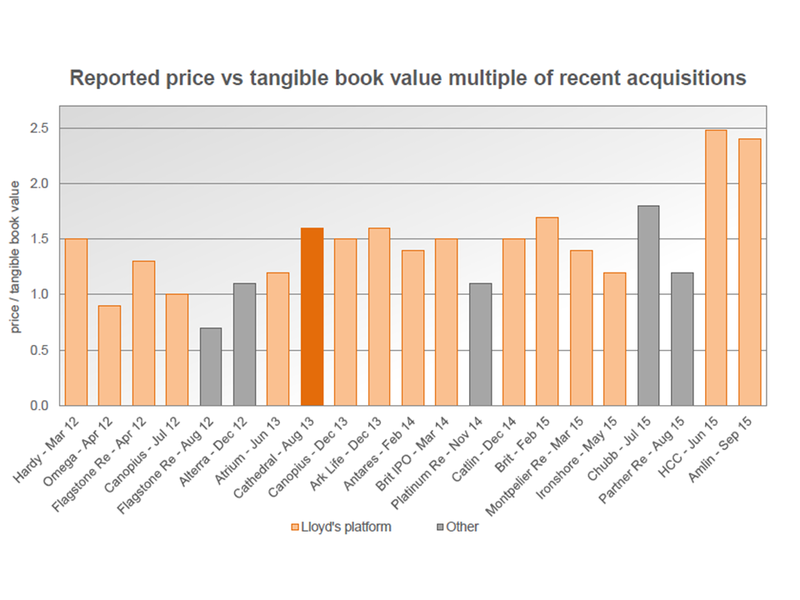 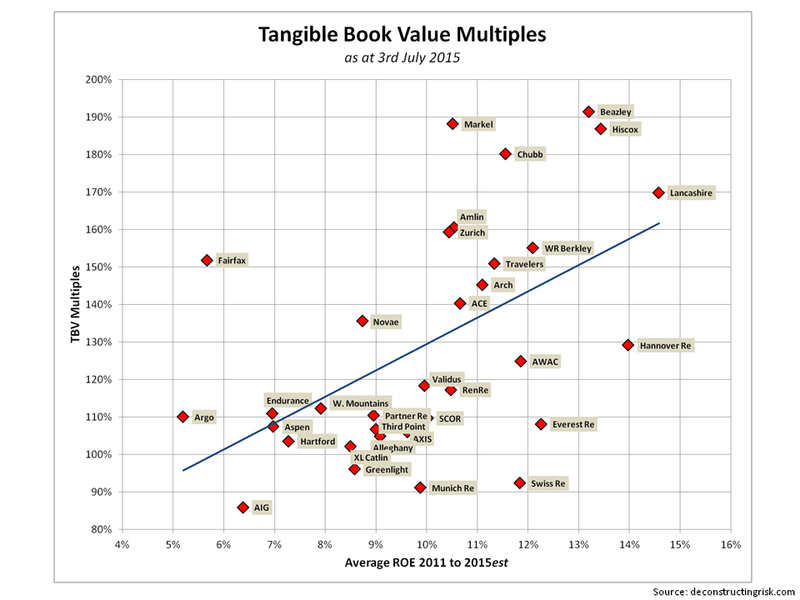 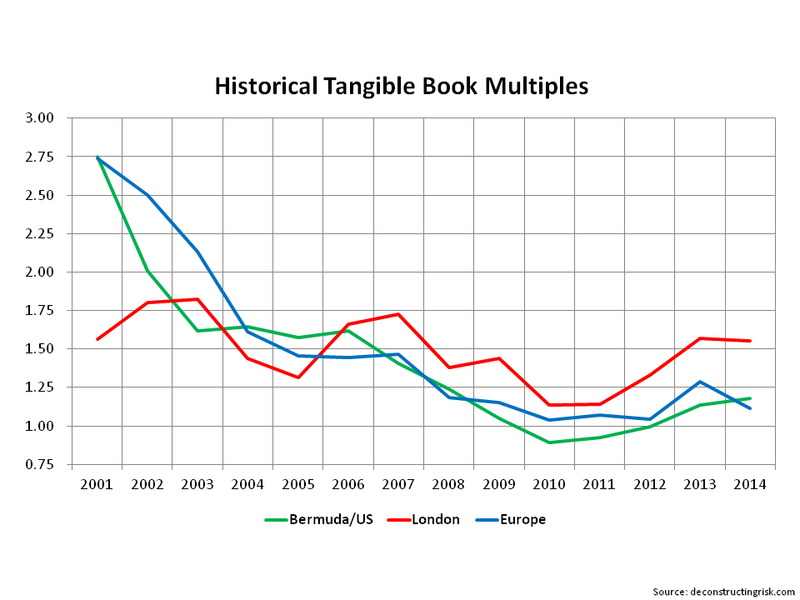 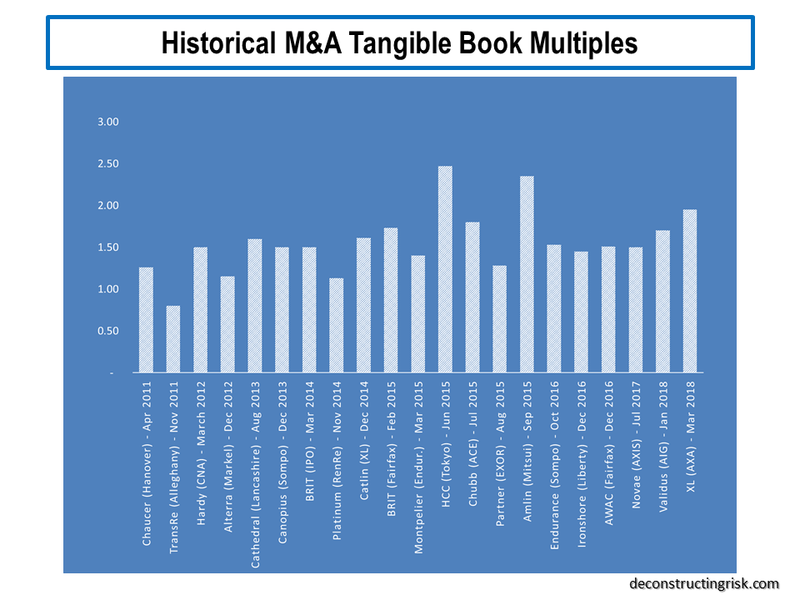 Driven by stable results, as per the graph below, and by the chatter that Lancashire could be an M&A target, the price today reflects a respectable 160% multiple to diluted tangible book. 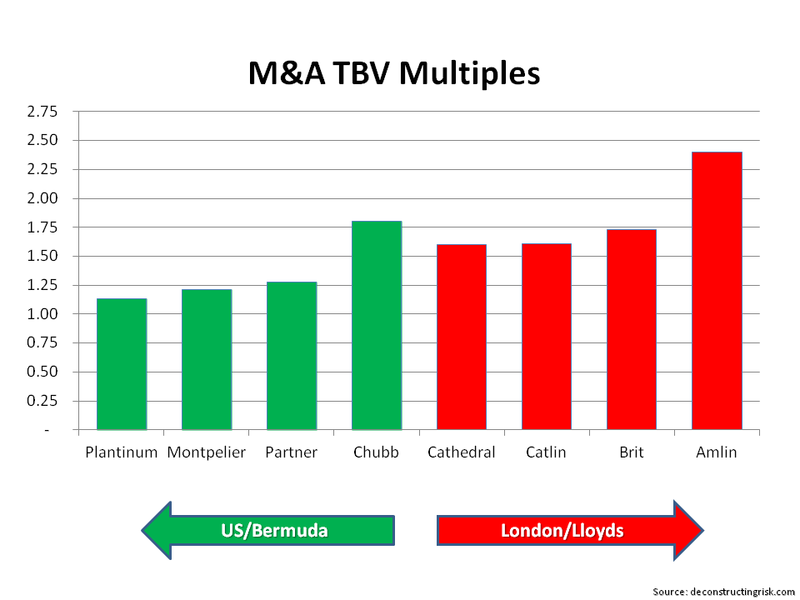 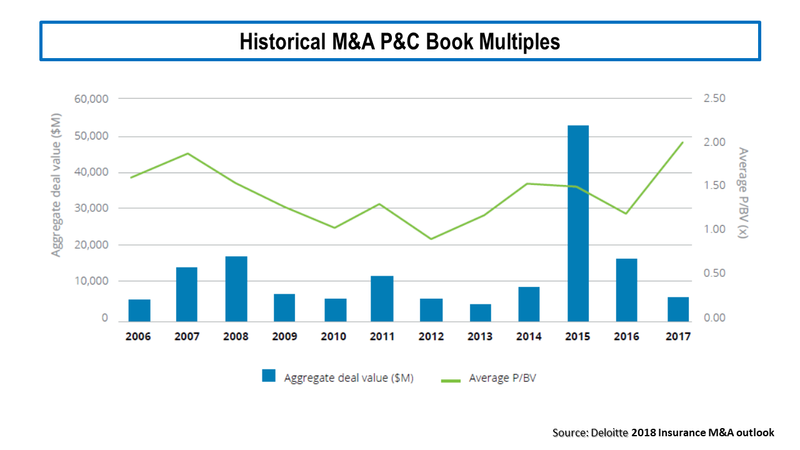 It was odd that although the firm’s executives joked about having prepared an answer to the M&A question, no analyst actually asked the question in the conference call today! 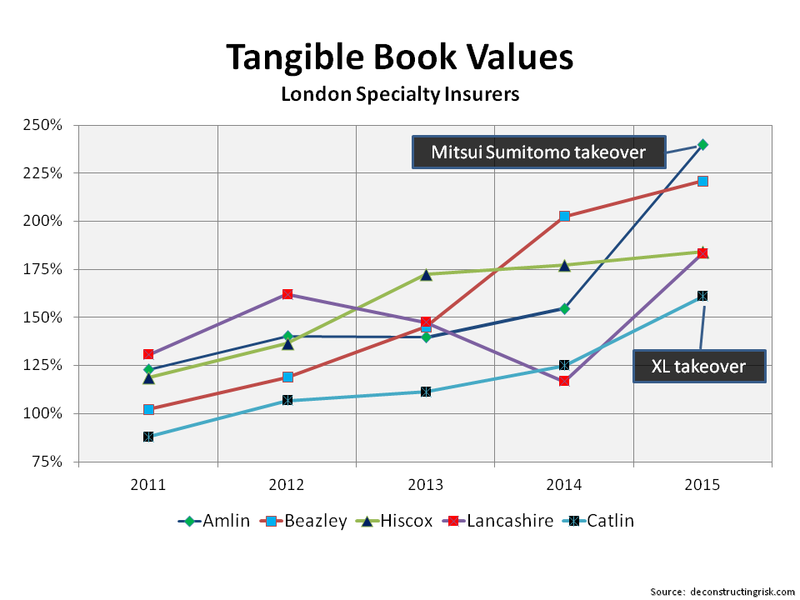 One of the big positives from the call today was the news that the firm has restructured their reinsurance programme that protects their book to give them more event coverage with reinstatements (away from previous aggregate cover). 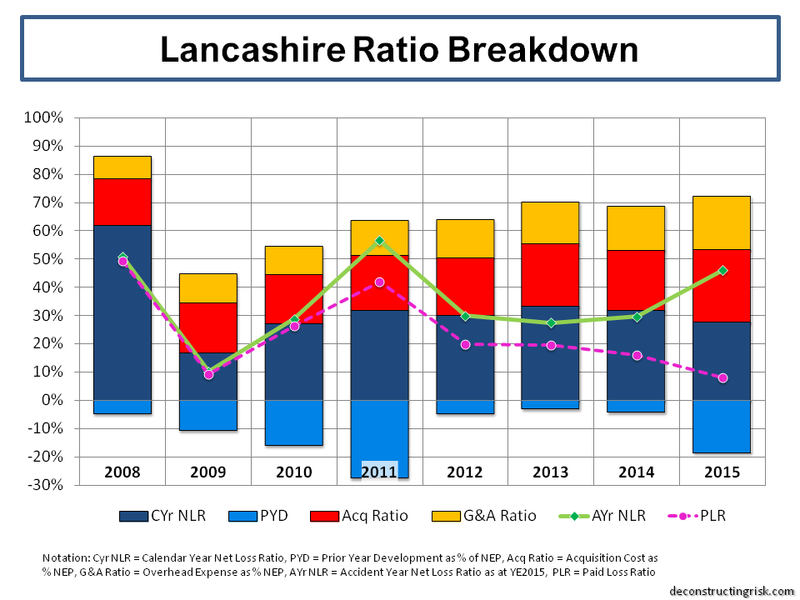 This provides more protection to Lancashire from multiple events. 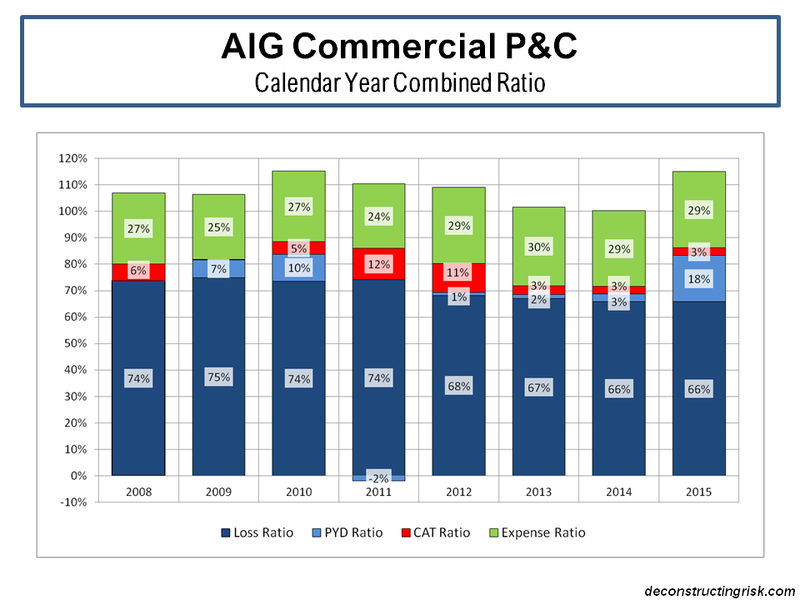 The PMLs as at January expressed as a percentage of the calendar year earned premiums (estimated figures for 2015) show the reduced net risk profile of this arbitrage strategy. 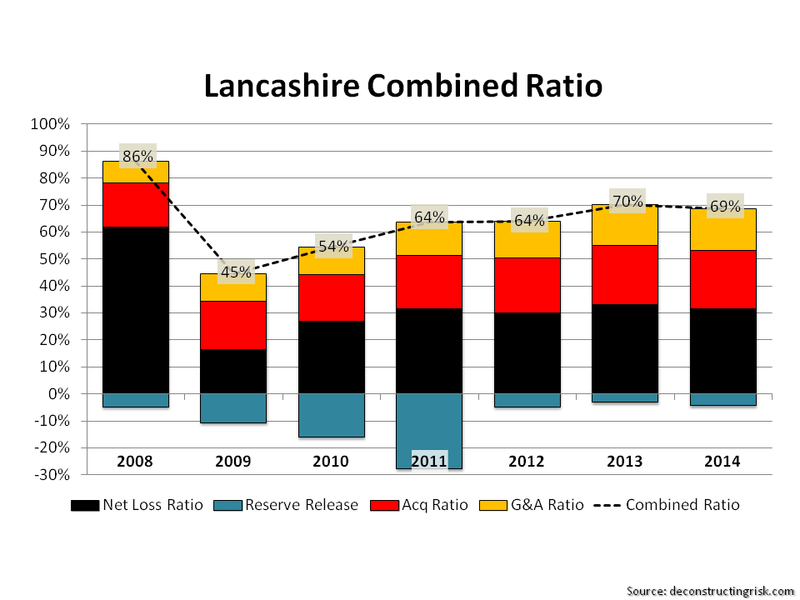 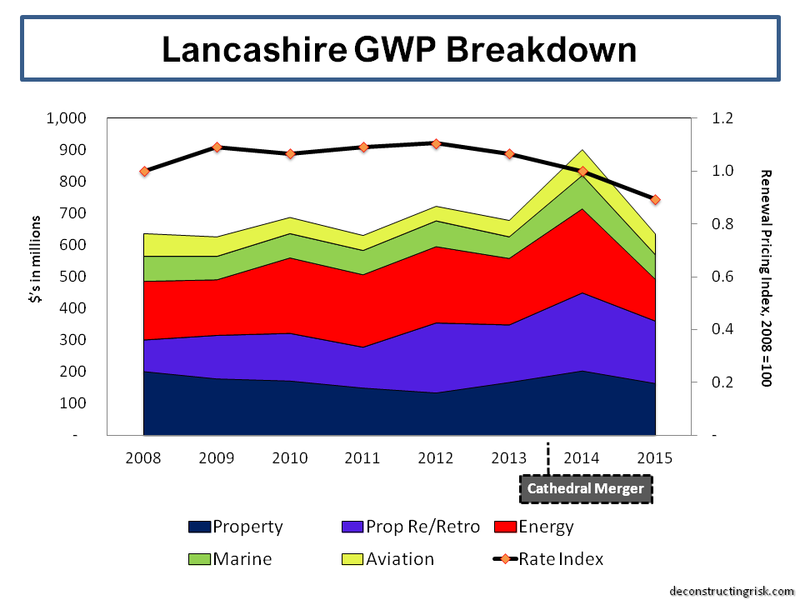 It’s nice to see Lancashire recover some of its shine and it will be intriguing to see if it does become an M&A target in the coming months.